SafeSearch is a feature many search engines offer; acting as an advanced filter that removes explicit content from the results, it's a great tool for parental control. However, it's not 100% perfect, as there might be times it blocks content you'd otherwise consider safe. Fortunately, search engines like Google, as well as Yahoo and Bing, allow you to turn SafeSearch off to access all the results from the completed search. While the steps may vary, depending on the search engine you use, these steps are not browser dependent. You may use the browser of your preference and still follow these same steps to either disable or enable safe search. The setting itself is browser dependent, meaning if you disable Google's SafeSearch in Google Chrome, you'll still have to disable it in Microsoft Edge. Open your favorite browser and navigate to your Google Search settings. Ensure Turn on SafeSearch is unchecked. Scroll to the bottom of the web page and select Save. Perform a Google search to see if SafeSearch is now disabled. To revert these changes, simply select Turn on SafeSearch in the Google Search settings. Launch your favorite browser and navigate to Bing. Either select SafeSearch, or expand the Settings menu, then select More. Select Off, then select Save. To revert these changes, follow the same steps, but select either Strict or Moderate, then select Save. Open your browser, then navigate to Yahoo and perform a search. Select the Menu icon, then select Settings. Select the SafeSearch dropdown menu, then select Off - do not filter results. Similarly to Bing, to revert these changes, follow the same steps but select either Strict or Moderate, then select Save. When it comes to disabling safe search on Android, steps vary a little bit, especially for the Google search engine. Tap the SafeSearch filter toggle to disable this setting. Do a Google search on your Android device. Repeat these steps to turn SafeSearch back on, but tap the SafeSearch filter toggle again to enable it. The steps to disable Bing's safe search on Android are pretty much the same as on your computer. These steps also apply to Bing search on iOS. Launch your preferred browser, navigate to Bing, then tap the Menu icon in the top right corner. Tap either Settings or SafeSearch. Tap Off to disable safe search, then tap Save. Do a Bing search on your Android device. To enable safe search once again, follow the same steps, but during step 3 tap either Strict or Moderate. These steps also apply to Yahoo Search on iOS. Launch your browser and navigate to Yahoo Search. Tap the SafeSearch dropdown menu. Tap Off - do not filter results, then tap Save. To revert these changes, follow the same steps, but tap either Strict or Moderate. 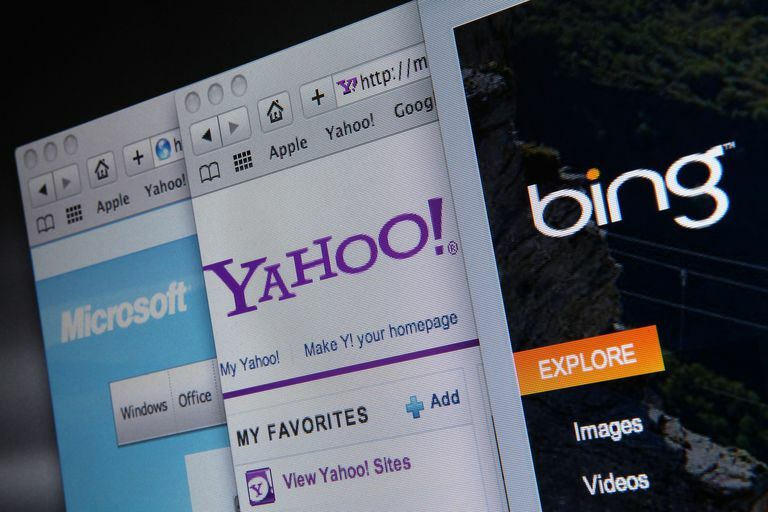 When it comes to disabling safe search on your iOS device, the steps for Bing and Yahoo search engines are identical to disable safe search on Android. However, to disable safe search for the Google search engine, the steps are closer to the steps for doing so on a computer. Launch your preferred browser and navigate to your Google Search Settings. Under the SafeSearch filters options, tap Show most relevant results. Scroll to the bottom of the page and tap Save. Do a Google Search on your iOS device. To revert these changes, tap Filter explicit results instead, then tap Save.